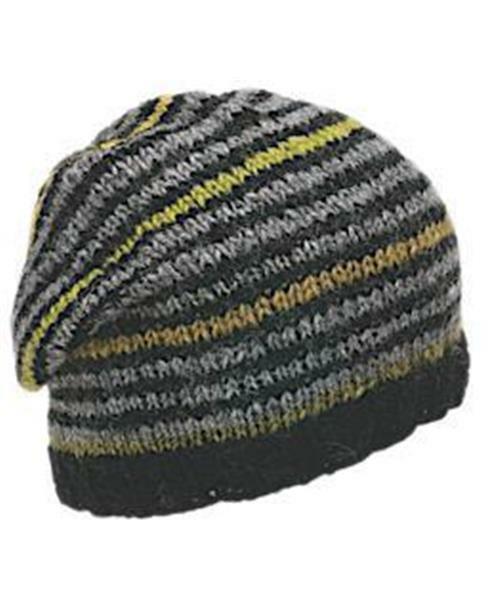 Striped beanie with tonal accent stripes. Returning style. Fleece headband.